As male secular icons are falling almost daily, a group of Catholic men are issuing a 30-day challenge to all men to rise up and embrace an authentic masculinity. 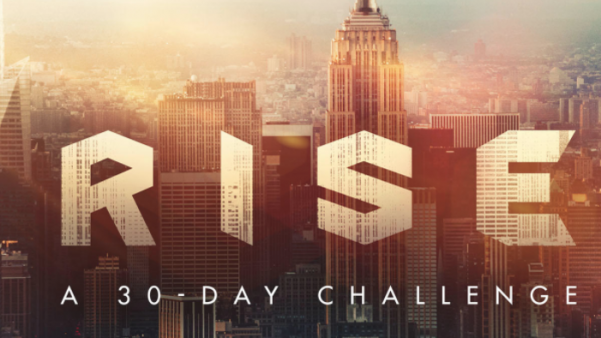 RISE: A 30-Day Challenge is co-authored by Chris Stefanick, host of EWTN’s “Real Life Catholic,” and Bill Donaghy, a curriculum specialist at the Theology of the Body Institute. “There’s never been a more important time than now for men to step up, lead their families and communities, and live an authentic masculinity rooted in understanding their identity as sons of God,” said Stefanick, co-author and video presenter. “RISE is a unique 30-day series of videos and challenges that walks men through a battle plan for life. It’s simple, but the results are extraordinary. Whether they’re faithful or just seeking, RISE will profoundly impact their lives for the better,” said Stefanick. RISE is an individual journey for each man with practical challenges based on their life situation. Men are encouraged to walk with a “brother,” and to hold each other accountable through the 30 days, and there are resources provided for parish and group settings. Men can choose to begin RISE at different start-dates throughout the year. Many are starting with Ash Wednesday, the first day of Lent. Parishes may review RISE at no cost. RISE is published by Cardinal Studios LLC, in collaboration with Real Life Catholic and in association with Ecce! Films. To learn more about RISE, visit www.menriseup.org/. RISE is also available in Spanish.